There are a lot of guilty pleasure foods. However, all of us – including nutritionists – are free to eat some of them in just small doses. On the other hand, the rest of these unhealthy foods are purely bad news even though they are irresistible to eat. To avoid health risks in a more foolproof way, we are here to give you some foods nutritionists won’t eat – ever. Just to make sure that we are on the same page, let’s understand the exact roles of nutritionists. A nutritionist professionally guides people on how to stay or become healthy. One way to accomplish that life-changing task is to advise these concerned individuals about the dietary impacts of certain foods. Nutritionists can also be called sports nutritionists, clinical nutritionists, dietitian-nutritionists, public health nutritionists or nutrition scientists. These particular titles depend on one’s country or employment details. What’s not to like about hot dogs? They are meaty and juicy. They also pair well with other foods such as chili, bread, and spaghetti. Sadly, they have an extremely low nutritional value. The process of making them is also not something you would like to learn about a very common food. Regarding its dietary facts, a standard pork hot dog has 620 grams of sodium, 18 grams of total fat, and 204 calories. It can get worse if you add relish, mustard and/or ketchup. However, the worst component of hot dogs is nitrate. Nitrates are the preservatives used for hot dogs. They can come from artificial sources. They may enhance the appearance and shelf life of hot dogs, but they are highly dangerous when consumed in large quantities. Why? Nitrates become nitrites when digested. This is not a good thing because nitrites can trigger cancer. With horrible amounts of ingredients found in hot dogs, you would have higher chances of acquiring particular diseases or conditions if you eat them frequently. 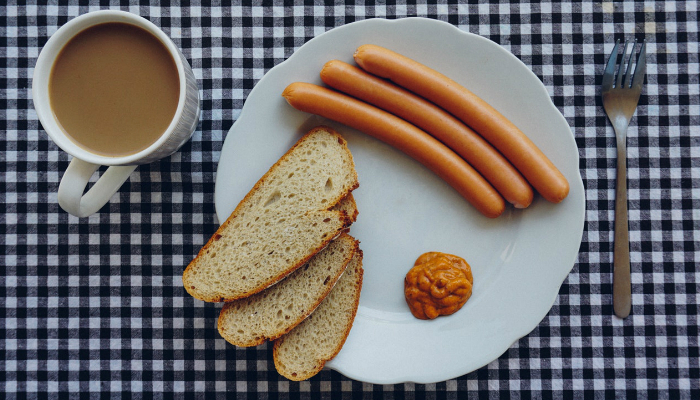 Common health issues associated with hot dogs and other processed meats are bladder cancer, cardiovascular disease, and type 2 diabetes. Actual red meat is definitely better than a processed one. 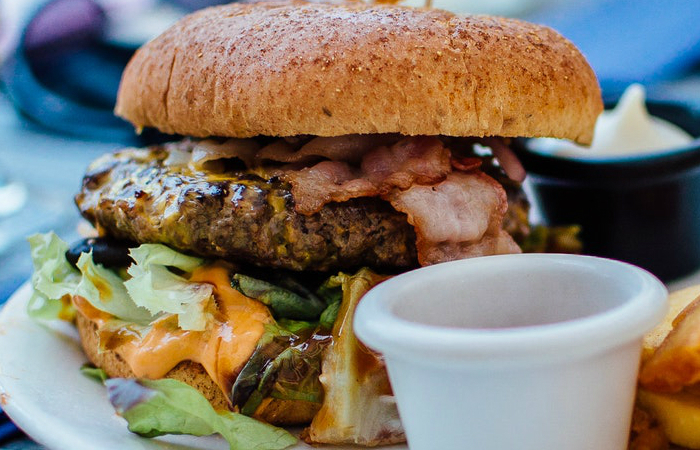 Its fattiness alone is reason enough to include bacon in our list of foods nutritionists won’t eat. 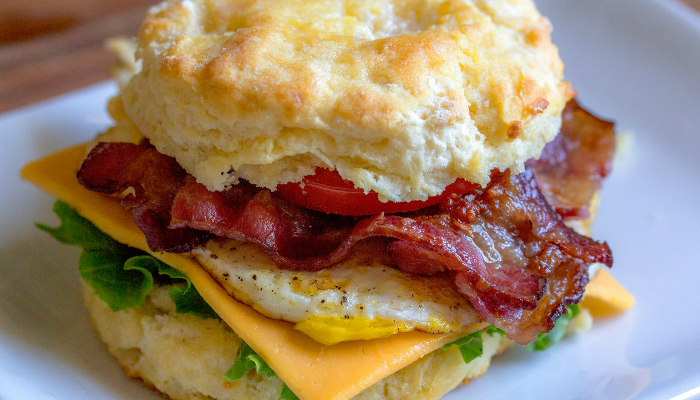 Still, bacon is one irresistible food because of its smoky, sweet taste. It also enhances many types of food. 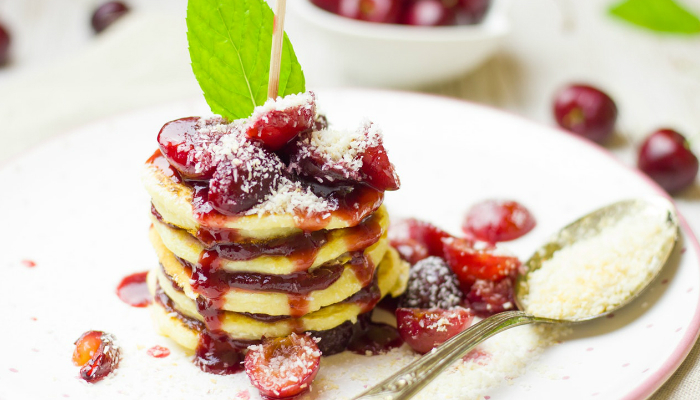 It is a great breakfast pair with pancakes and eggs, never failing to give anyone a perfect start to their day. Since bacon is simply a strip of delicious fat, let’s focus on that notion first. Just to be fair, some types of fat are actually healthy. When it comes to bacon, however, it only has the bad kind. Even 68 percent of bacon’s calories are composed of fat. It only gets worse; half of that is saturated. The level of saturated fat leads to 30 milligrams of cholesterol in just one ounce of bacon. Hence increased chances of stroke and heart disease. Bacon being a type of processed meat definitely does not help as well. Like hot dogs, it can result in cancer. Interestingly, bacon has a connection to lower sperm count. 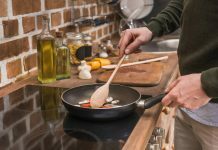 If a man eats big quantities of processed meat such as bacon, hot dogs, and hamburgers, it is really possible that he would experience infertility in the long run. As a bonus fact relevant to bacon, the dish called “Bacon Explosion” contains a whopping 500 grams of fat and 5,000 calories. That amount of calories already covers at least two days of one’s daily calorie requirement. Thinking how some people prefer processed fruits than actual ones seems pretty hard to comprehend. Sure, processed foods last way longer than organic ones but they are far from the guaranteed nutrition the latter gives. One example is maraschino cherry. We can understand that others like the adorable look and sharp sweetness of maraschino cherries. Maraschino cherries are also effective sweeteners for cocktails such as the Manhattan drink. However, this processed fruit is full of preservatives and artificial sweeteners. Its processing is also horrendous. Maraschino cherries will never be on the same level as the fresh ones. To be more specific, what is delightful about soaking cherries in slimy sugar syrup? What’s worse is how the cherries slowly turn into goo. You cannot taste the actual sweetness of cherries anymore. Instead, you are tasting sugar – that’s all. Another way to crush the remaining positive impressions about maraschino cherries is knowing how they are manufactured. One type of processing method is to bleach fresh cherries with sulfur dioxide and calcium chloride at first. Next, these poor cherries are drowned in high-fructose corn syrup and food coloring. And don’t get us started on how other flavors are added to cherries. What’s the purpose of lemon cherries anyway? A basic topping of pizza is pepperoni. That is a no-brainer because pepperoni effectively enhances the taste of mild flavors like pizza dough and mozzarella cheese. Unfortunately, pepperoni is another unhealthy type of cured meat. Despite containing protein, it has large amounts of sodium and saturated fat just like bacon. 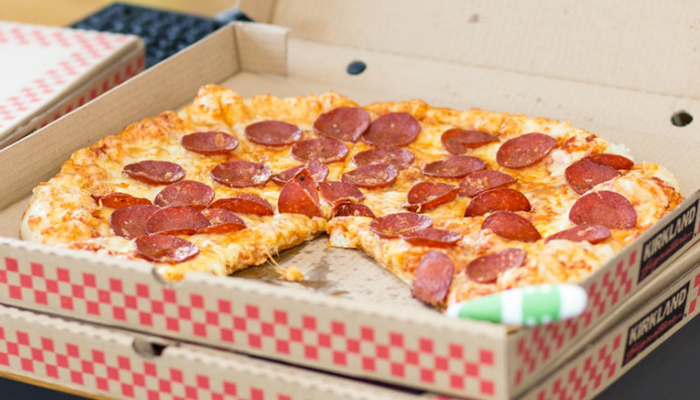 Like any other processed meat, pepperoni contains nitrates for prevention of bacterial growth. 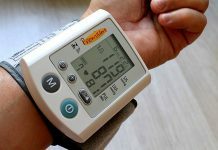 When consumed frequently, however, nitrates can lead to anemia, specifically methemoglobinemia that stops hemoglobin from transporting oxygen all over the body. Sodium is essential to the body, too. It supports your muscles and nerves so they can function well. Still, consuming too much sodium leads to water retention and hypertension. What you need daily is just 1,500 to 2,300 milligrams of sodium. Let’s face it; canned foods are important. They are much needed during and after natural disasters wherein you must stay indoors for days or weeks. Common reasons for this are their outrageously long shelf life and edibleness even if not cooked. But, as we all know, they are always classified as unhealthy foods. Since food is concealed inside the can and usually drowned in sauce or juice, you cannot really determine if the contents inside came from fresh sources. That can also be a source of profit for massive companies. These manufacturers can use subpar ingredients and just enhance them using science and technology. They can also benefit from aluminum’s lightness and cheapness. 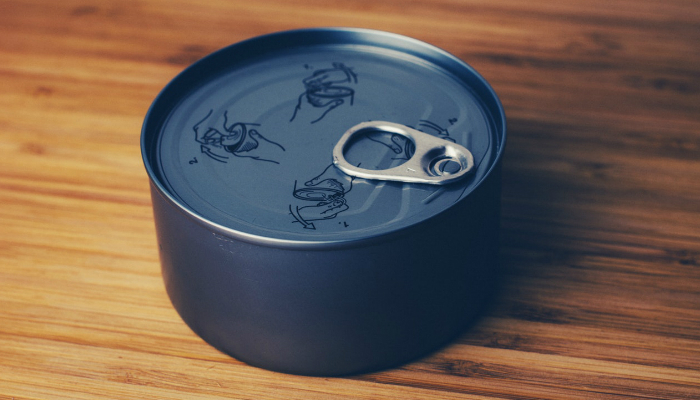 Another thing you have to be aware of when it comes to canned foods is aluminum cans. An average of over 5,000 million pounds of aluminum is utilized annually just to manufacture cans. Now, there are claims that some factories cook the ingredients after sealing them inside cans to maintain freshness. The bad news, however, is retention of free radicals inside after heating aluminum. The accumulation of aluminum, in the long run, can lead to Alzheimer’s. Ah, cheese. Most of our favorite comfort foods are doused in this savory, sweet delight. There is no need to be alarmed yet; cheese is actually healthy. But, once you add the word “processed” before it, the nutritional value decreases as expected. Why on earth would companies sell processed cheese? Simple: it is an eye candy and an ideal addition to your pantry because of its shelf life. Its existence is all about consumer convenience. Authentic cheeses are rare and expensive in cities. You probably have observed in the supermarket that processed cheese can be contained in jars, bottles, and even aerosol cans. Glass bottles and jars are extremely fine. What we worry about are aerosol cans. To be honest, this container is a delight to use for instead of the usual whipped cream, cheese is sprayed. The horrible truth though is the addition of trisodium phosphate to achieve the perfect spray-able viscosity. Surprise, surprise – some stain removers and cleansers also contain trisodium phosphate. One more ingredient that can change the state of cheese is canola oil. Canola oil is edible and all, but it comes from a genetically modified crop called rapeseed. We mentioned that processed cheese can be an eye candy. Its usual bright yellow color is irresistible. Sadly, Yellow Tartrazine and Yellow 6 are the typical food colorings for flawless-looking cheeses. You ought to know that some countries banned these two additives. The main reason is how they can trigger tumor in kidneys and adrenal glands. 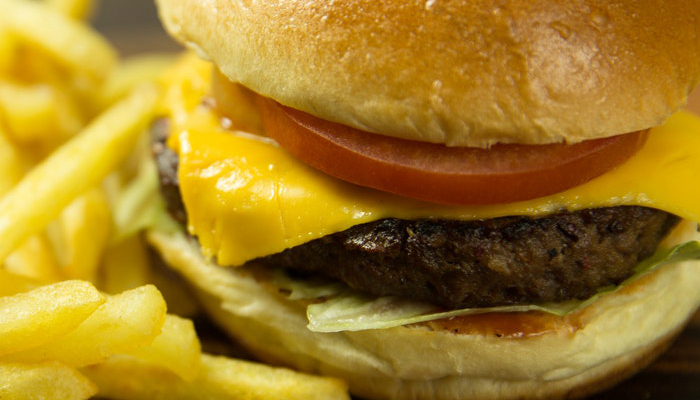 With these nightmarish food facts about processed cheese, this food still has a purpose. Have you ever wondered why many food establishments can serve cheese sauce in just a snap? It turns out that processed cheese melts graciously. We can thank emulsifiers for that. Emulsifiers are common food processing components to bound water and oil together. Meanwhile, natural cheese tends to separate into its original milk and oil form when heated. That is why it requires longer melting and mixing. Unfortunately, some emulsifiers are harmful. Potassium phosphate is an allergen while tartrate can trigger diarrhea. In case you haven’t noticed, the impacts of some foods nutritionists won’t eat are only apparent after years of frequent consumption. These foods are like silent killers. So, most nutritionists try their best to totally avoid them. However, do not force yourself to completely ignore these foods. It is brutal to just throw away what makes you happy. You can eat anything you like as long as you discipline yourself to only take minimal amounts. On the other hand, you may also check out our tips on how to speed up muscle recovery and the best organic multivitamin for your additional dietary supplements.